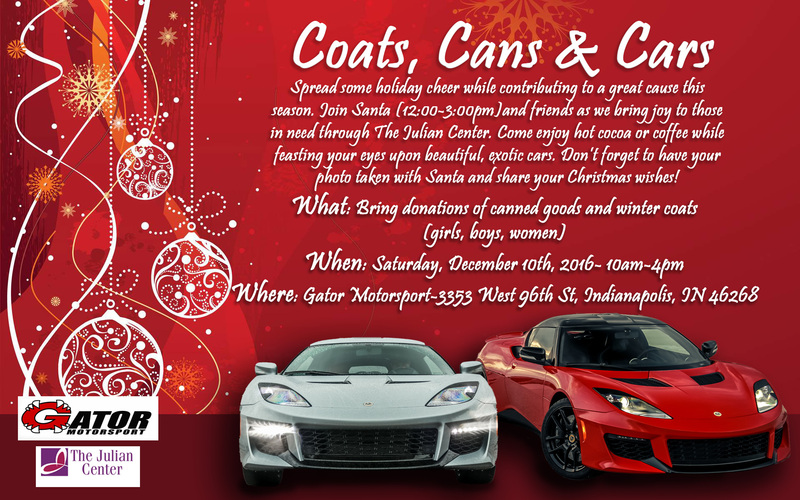 Please join us at Gator Motorsport for Coats, Cans & Cars, a family-friendly event in support of The Julian Center on Saturday, December 10th from 10am-4pm! Enjoy a cup of hot cocoa or coffee while snapping a photo with Santa. Be sure to invite your friends and family!